Day One of LightShow West was a Success! Recap Inside. DAY ONE OF LIGHTSHOW WEST - LAS VEGAS DREW AN AWESOME CROWD!! Thank you to everyone who helped make the first day of LightShow West such a success! And it's not over yet ... the event continues TODAY! We would especially like to thank our Las Vegas Agency Sponsors DECOLights, Inc., Design Concepts, Inc., Nevada Lighting, Nevada Sales Agency, Pacific Lighting and Roth Lighting. Special thanks also to all of our exhibitors, sponsors, speakers and attendees who made this an outstanding day for everyone. The exhibit hall is open today from 11 am - 5 pm. 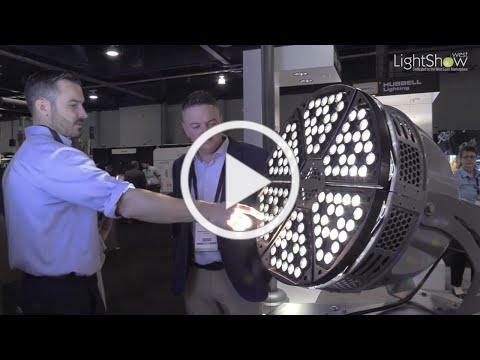 Check out the brief video below for a quick recap of day one of LightShow West - Las Vegas!